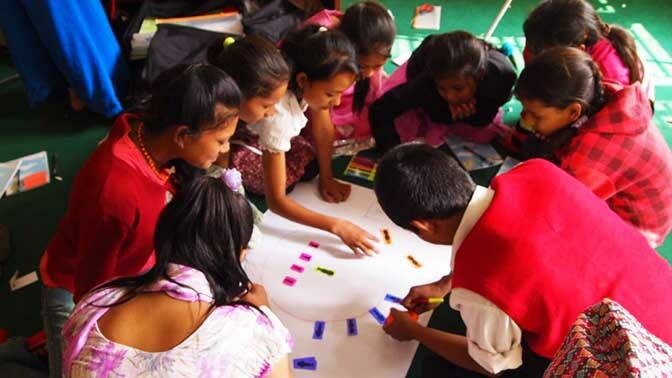 Organizing Ourselves: The Article 15 Project is a research and development collaboration established in 2011 between CERG, World Vision, Save the Children, UNICEF and Childwatch International. It focuses on Article 15 of the Convention on the Rights of the Child (CRC) – children’s right to meet with others, and to join or form associations. International child-focused non-government organizations have offered increasing support to children’s clubs or “child-led groups” in recent years. This is in part because children’s groups seem to offer a more authentic, effective and sustained means of working with children. The new kinds of children’s groups that have emerged internationally since the adoption of the CRC are built from recognition of the importance of children knowing their rights, and of participating centrally in the execution of their rights, and as a result, they are more deeply participatory than children’s groups have hitherto been. However, there has been little critical self-reflection by these new types of organizations, sparse documentation of how they function, and little guidance material for children or adult facilitators on alternative ways to establish, govern, manage and sustain children’s own organizations. The primary goal of the Article 15 Project is to find ways to enable children’s groups internationally to become more effective, or as democratic, inclusive, fair and transparent as they can be. The Article 15 Resource Kit is written in a child friendly format so the tools and games are accessible and adaptable to a wide range of children and cultural contexts. Currently, the kit consists of 10 modules and 20 tools, each focusing on an aspect of the self-management of children’s groups. To access the Article 15 Resource Kit, or to share ways your group has used the resources, visit the project website at http://crc15.org.